(100) Timeline Photos – World Sango Festival. 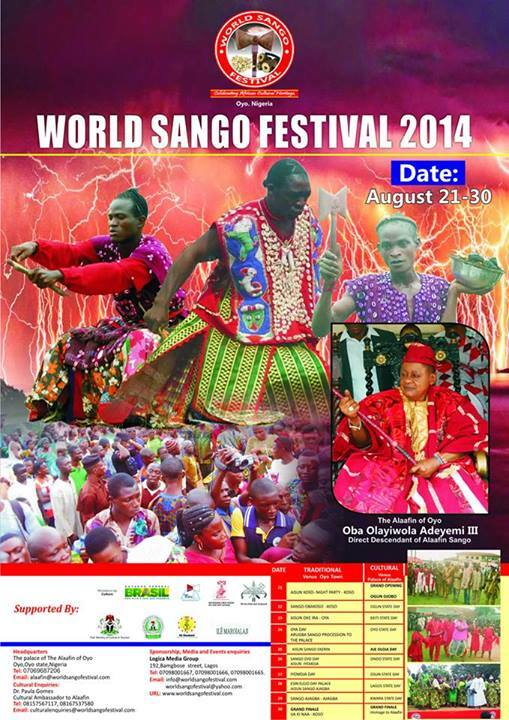 The World Sango Festival is coming. It will be held in various locations around the world, and most iles and African deity loving covens will be having local ceremonies as well. If you will be hosting any events, please let us know, so we can add you to the calendar. This entry was posted in Community Announcements, Vodun Links, Vodun News and tagged african fire god, fire, fire god, orisa sango, orisha, orisha shango, sango, sango festival, shango, shango festival, world sango festival, world shango festival. Bookmark the permalink. Readings are done on video, and photos are taken during the ceremonies and rootwork, so that you can see what was done for you. Click here to order a reading!